Chris Mather joined the Occupational Therapy Services team in 2010 with a background working in nursing & mental health. He has a keen interest in community occupational therapy services, and is currently working across the domiciliary, driving and consultancy occupational therapy services. He has diverse experiences, with particular interest in home modifications, specialist equipment prescription and community mobility assessment. Chris is strongly motivated and enjoys facilitating independence when working with clients in the community, helping clients be maintained in their own homes. Chris Mather completed a Masters in Occupational Therapy after originally completing a Bachelor of Science in Nursing. Chris has further developed his specialty skills in health assessment in the area of Driving Assessment & Rehabilitation, completing a Nationally recognised certification at the University of Sydney in 2013. 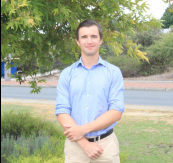 Chris is dedicated to furthering his professional development and does so regularly in various endeavors including professional association events, mentoring students and presenting to other Occupational Therapists in WA. Chris particularly enjoys working with student Occupational Therapists assisting with training students and further developing the profession.